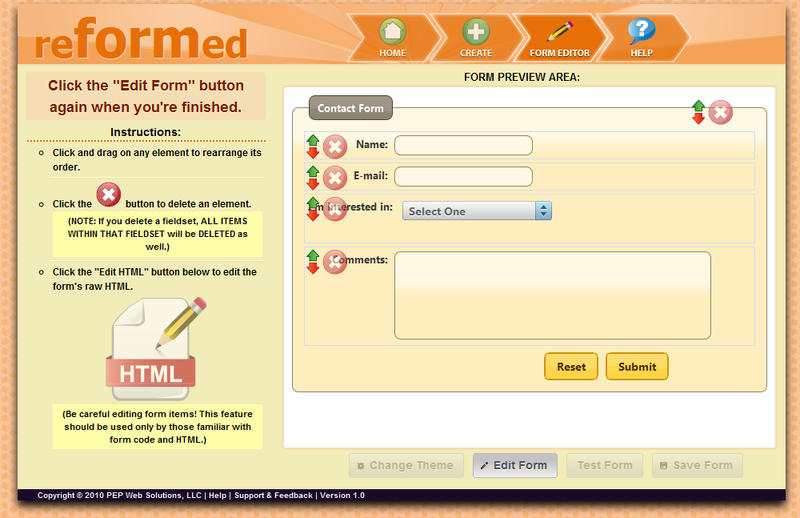 reformed provides an intuitive and beautiful Form Builder, which lets you add, configure, and add validation to form elements to your form in just a few clicks. Several time-saving ?helper? 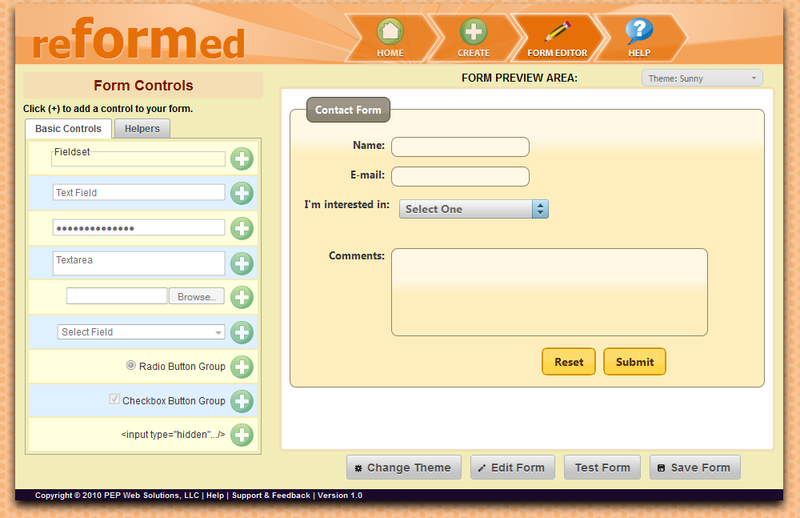 form controls are also available, such as a pop-up datepicker, state and country select dropdowns, and a simple human verification form element that provides a simpler and less obnoxious (i.e, captcha-free) means of preventing form abuse. An advanced ?edit? mode is also provided that will allow you to drag-and-drop form elements to rearrange their order (or even delete them) without touching the code. 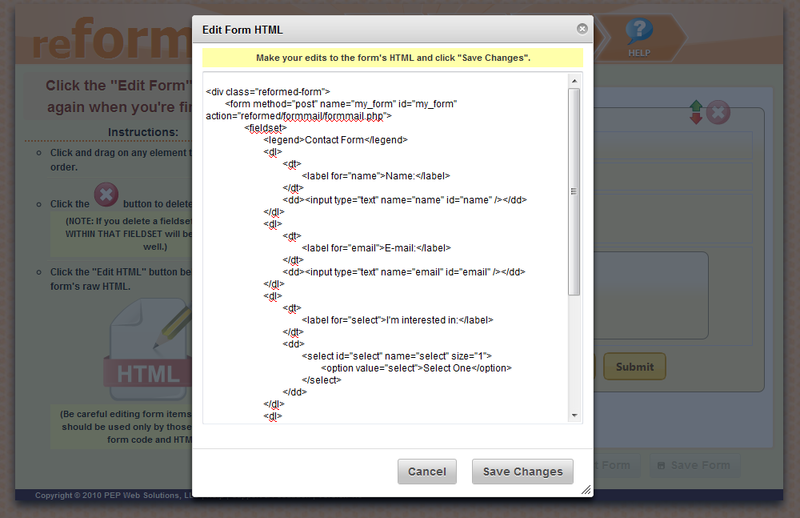 If you do need to make some changes to the HTML, this is also easy to do with a single button click. 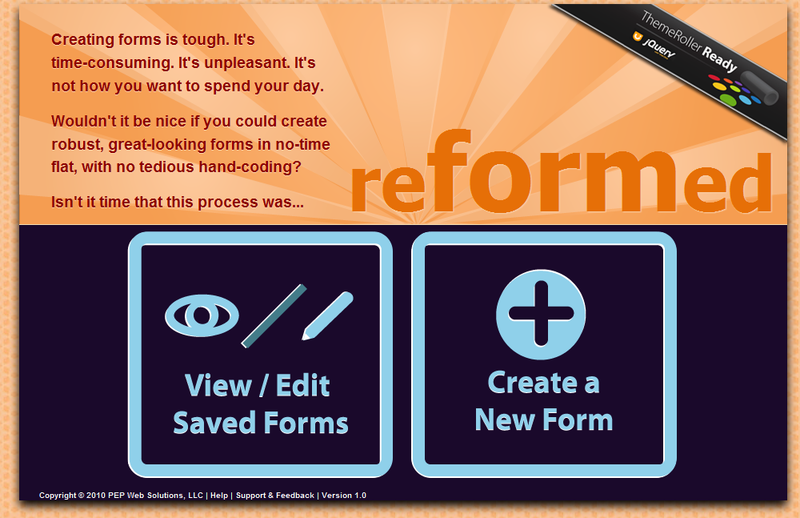 Save hours of tedious work and impress your friends with reformed ? 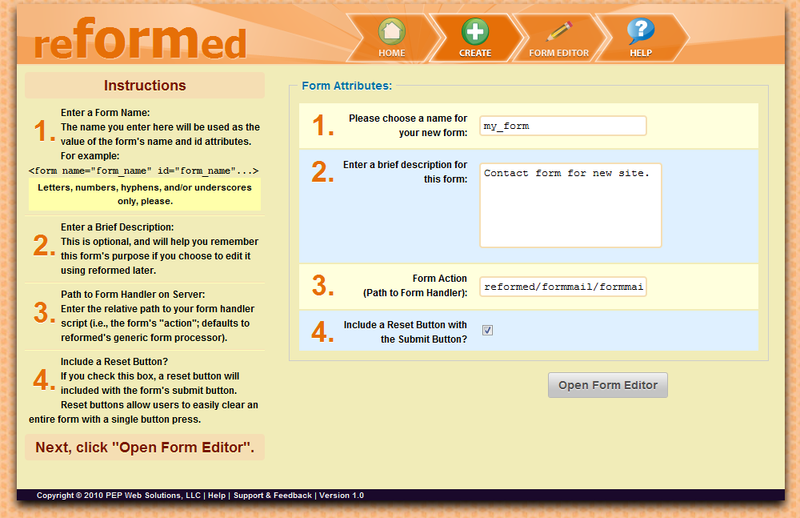 truly the quickest, easiest way to build great-looking web forms. 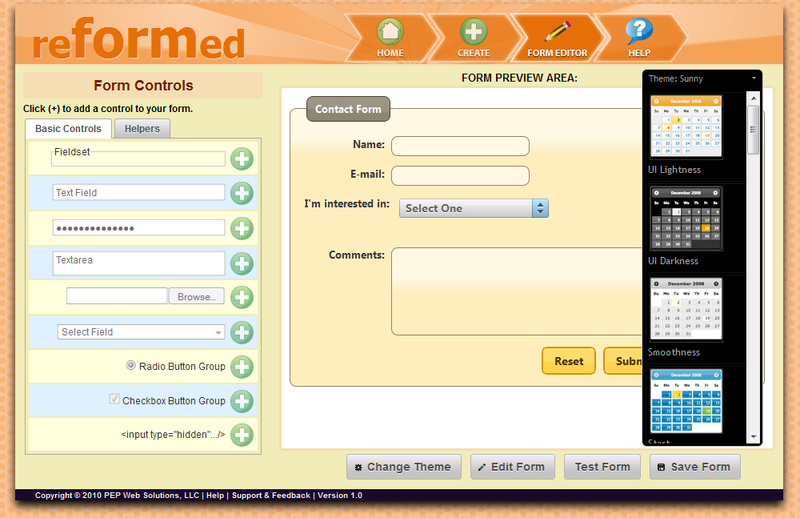 Fixed bug where reset buttons were always added to saved forms (thanks for the catch, silverskymedia). 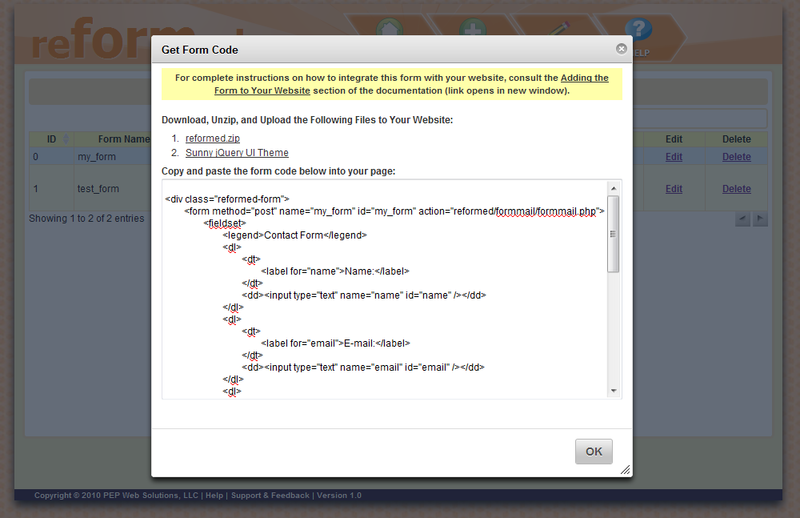 Corrected help file (contained incomplete instructions on adding validation to your form; please see the link included at the top of this description for updated instructions if you haven’t downloaded the latest version). 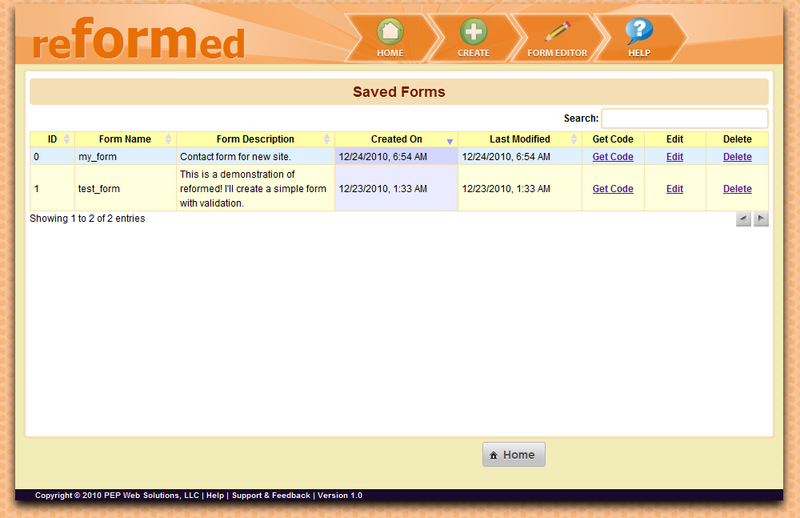 Fixed a minor issue where unnecessary classes were sometimes not stripped from generated form code.